Journalist Kate Waters tries to uncover what happened to two eighteen-year-old girls who went missing in Thailand. However, she can’t help but think of her own son, whom she hasn’t seen in two years, since he left home to go traveling. Sign me up to receive news about Fiona Barton. Place our blog button on your blog to let people know you are a member of this great program! This is a well-done story that kept me guessing until the end. There were some twists and turns that I saw coming that were satisfying, and some that completely caught me by surprise! I liked it, and didn't realize until close to the end that this was the same author that I read a few years back and enjoyed what was the first book in this series! This story hit me with all of the "Mom" feels - worrying about your children, even as they grow older, praying they don't find themselves in dangerous situations they can't walk away from, all of it. It is a quick read and even though I'm quite tired of the current trend to have a story jump back and forth in time, this author does a great job with it so that the reader doesn't feel whiplash. The story flowed nicely. I would recommend this book to anyone who wants a quick read with characters that are well developed and somewhat relatable. I absolutely loved this book, especially the strong female character, the twists and turns. I felt the anguish of the parents whose daughters had gone missing, learned about the culture of Thailand. I loved that it wasn't just another procedural crime novel, it was engaging and as a reader we did not know what was coming next. Looking forward to reading more from the author! I've never read a book by Fiona Barton. It's definitely an interesting read and I do hope to read more from her in the future. 3.5 stars. This was very different from the other Fiona Barton books I have read. I always enjoy books with chapters written by different characters/ different times. Fiona Barton is quickly becoming one of my favorite suspense novelists. Two 18-year old girls, Alex and Rosie, go missing while on holiday in Thailand. After their parents notify police, reporter Kate Waters jumps at the chance to cover the story. This time, however, the tables have turned on Kate. She discovers that her son who’s been living in Thailand may somehow be involved. What happens when her own family is thrust in the spotlight? The story is told in short chapters and alternating POVs – the reporter, the detective, the mother, and one of the missing girls. The opening grabbed my attention, though I had a harder time staying engaged with this book versus the first two in the series. At about the 30% mark, the major twist (IMO) was revealed. I thought, huh. Now what’s going to happen for another 300 pages? The middle moved by slowly, but things picked up closer to the end. I very much enjoyed The Widow and The Child, but something was a bit off about this one. The premise was intriguing, but the execution didn’t grab me, and I never warmed to the characters unfortunately! My rating: 3.5 Stars Journalist Kate Waters is powerless when it comes to the fact that her son has dropped out of college and taken off to Thailand with limited communication, so she jumps at the opportunity to help in another manner. It is a dead season in her business, so she jumps in with both feet when it comes to finding information about two missing eighteen-year-old girls taking a gap year and who have disappeared in Thailand. Can Kate be the first on the story, thus providing relevant information, and bringing peace to the families of the girls? I wasn’t aware until preparation of this review that The Suspect is the third book in the Kate Waters series. However, I was able to jump right into the story, as I was keen on the mystery of whatever happened to the two girls. We learn how dedicated Kate is as a journalist, but also how she is as a parent who is very concerned with her son, whom she hasn’t seen in two years. The story fills readers into the lives of the two missing girls, Alex and Rosie. Social media plays a big role in helping Kate to learn about the girls moves. Along with Kate’s role in this story, there are also DS Tara Salmond and DI Bob Sparkes. As the social media posts have trickled and eventually stopped, the police are a big part of Kate’s own investigation. Imagine the terror those parents faced when their girls, who didn’t even know each other well, disappear without a trace, thousands of miles away from home! This story is presented from several third-person points of view. There was a definite mystery here and I was kept on tenterhooks throughout. Kate's son Jake is never far from her mind. In fact, there is a rather disturbing chain of events that has occurred that is hardly likely to be coincidental. Although it got off to a slow start, this was a very intriguing story, with a good measure of twists and turns, bringing to a surprising conclusion. Many thanks to Berkley Books and to First to Read for this ARC to review in exchange for my honest opinion. I received an advanced copy of this book from First to Read in exchange for an honest review. This is the first book I've read in this series, but I did not feel lost not having read the previous books. It took awhile for me to get used to the switching point of views and timelines, but the story was suspenseful and had lots of unexpected twists that kept me interested. I plan on reading more books by this author. I love Fiona Barton and was super excited for this story but it just dragged on. Not my favorite of her works but I would still default buy her stories. by Marjorie Cunningham, Wall Twp. 18-year-old Alex and Rosie are taking a trip of their lifetime to Thailand. They don’t know each other very well but hope to be good traveling companions. They promise to keep in touch with their families but now a week has gone by and no word from them. Kate Waters is a journalist who tries her best to always be the first reporter to nab any news relating to this disappearance. She’s a bit distracted because she hasn’t seen her son, Jake, in two years when he left to travel the world. Maybe I’ve just read too many books of this type. Or maybe I’ve become a psychic or something. I just always seemed to be one step ahead of this author and knew exactly what was coming each step of the way. That’s not to say that this book didn’t have quite a few “big reveals”. I just knew what they would be before they were revealed. If I didn’t know this book wasn’t published yet when I read it, I would have thought that I’d read it before. I really have no explanation as to why I knew what would happen as I don’t think the author spoiled things in any way. The book is rather long for a thriller at over 400 pages. I can’t say I raced through it. I did care about the journalist Kate, but the young girls and their parents could be aggravating at times. Unfortunately, my commitment to the book did start to wane by the end. The ending was a bit ambiguous, too. While it wasn’t a bad book, I didn’t feel it was as good as the author’s first book, “The Widow”. This is the first book I've read in the series. I enjoyed the overall theme of the book and the characters; however, the book was hard to get through. I found it dragging a lot when switching between povs. I understand the focus is on Kate the journalist and because of that the story didn't feel as dire as it should. The characters were fantastic and well executed. The ending was a very good gray area, especially if another book is made. While I ultimately really love Ms. Barton's books, I felt this one dragged on a bit. I don't know if it was due to three different story lines and multiple points of view, but it felt like the plot dragged over the same points several times. As a result of this, I think I glossed over what was an important point later in the story. I read it but the significance got lost in the long text. I appreciated the return of Kate Walker and DI Sparkes. It was good to have a couple familiar characters to hold the story in place while it bounced around the globe and to different characters. I do wonder where they will go from here after the events that end this book. Despite my comments regarding the length of this book, it won't stop me from wanting to read the next! A parent’s worst nightmare! Fiona Barton leads us on a chase for the truth about the disappearance of two British teenage girls who take a gap year in Thailand in The Suspect. Kate is a British journalist who loves chasing a juicy story, until it involves her own wayward son. Unofficially searching for answers for the missing girls with their parents and the British detective Sparks, leads her to the only possible answer… her son was at fault. Or is he? Sparks has his own issues with his wife suffering from cancer and near death. Then there is Alex and Rosie. Two missing girls that were thrown together for a trip of a lifetime by a last minute cancellation of Alex’s best friend. So many wonderful characters! Barton does an excellent job fleshing out her characters. There are so many personalities narrating the story, but Barton transitions so smoothly that the story is not only easy to follow, but pleasant to read. I loved every part of this book. I would definitely recommend it to any fiction crime reader. I believe that there is a Kate Waters series, but this book worked well as a stand alone and left me with no questions. 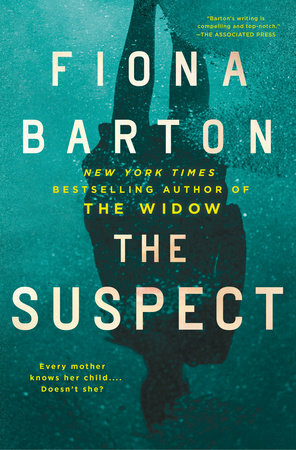 The Suspect by Fiona Barton was set up much like another book of hers I have read, the Widow. Chapters were told from alternating perspectives, which can sometimes be a bit hard for me to follow. But I was interested and could appreciate this way of creating the story! The characters were dimensional, and there were a few twists I wasn't expecting in the book. Overall, I was glad I got to read it, but it is pretty moody so I was also glad to be done! I love the character of Kate Waters and I loved that I was able to go back to her world again. The story she is covering now hits pretty close to home. As she investigates the two missing girls, a connection to her son is discovered. The question is to find out how deeply he is involved, if he actually is involved. Or maybe it's just a case of being in the wrong place at the wrong time. The Suspect was a page-turner for me as the plot thickened and the mystery unraveled. Told in alternating perspectives of three of the characters, it was interesting to watch the story come together. And then the ending. Whoa, was not expecting the ending that this talented writer came up with. It's amazing what a mother's love will make some people do. I enjoyed this book. I found it suspenseful as well as sad at times. There were unexpected twists and the story was original. This is a great thriller. This is the first Fiona Barton book I’ve read. THE LAST SUSPECT is part of a series featuring the main character, ambitious journalist Kate Waters, but can be read as a stand-alone book. In this installment, Kate is covering a story about two British girls who went to Thailand for their gap year and disappeared suddenly. Kate ends up becoming part of the story when it is revealed her son (Jake) is possibly involved. The book started out great. The plot was very interesting, and I was getting settled in to enjoy a really good mystery. Unfortunately, the story went downhill by page 150 and became extremely repetitive (e.g., “Where’s Jake?” “Has something happened to Jake?” “Why can’t I find my son?” “Have you seen my son?” “Why won’t he contact me?” “Where could he be?” “I can’t find my son!”) I also started to dislike Kate as the story progressed, and by the end of the book, I completely despised her. I won’t give away any spoilers, but the ending turned me off for a couple of reasons. First, there is what Kate did to protect her son. That was unacceptable under any circumstances. But what I found even more egregious is that she had the nerve to judge one of the victims’ mothers for becoming bitter over what happened to her daughter and for advocating for capital punishment. Could she be any more self-righteous and hypocritical? I’m sure the next book in the series will gloss over what happened in this one, but I honestly don’t see how Kate can redeem herself after her actions in this one. Disclaimer: I received an advance reading copy of this book from First To Read in exchange for an unbiased review. Fiona Barton is always a hit in my book and she never disappoints. Kate Waters is drawn into an assignment through standard practices and soon finds that she is involved and has to question what she will have to do to locate her son. I thought this book was well written, yet found the absence of the son to be really strange. I will be recommending this book to others. I was given the opportunity to read The Suspect by Fiona Barton through Penguin Publishing's First to Read program. I'm usually not a huge suspense reader but I gave it a try and it did not disappoint. I loved the multiple points of view once I had the characters and there personalities down. The author did a nice job developing the characters so it was easy to differentiate story line I was reading. When two young ladies go missing while on gap year in Thailand, news reporter Kate Waters dove head first into the details to secure the first report of the happenings. Kate takes a special interest in the girls case, even using her close friendship with the lead detective to gain insider information. The back story of Kate revealed that her son was also in Thailand and while not missing, Kate wasn't sure where he was. She missed her son and that ache of a mothers heart helped her empathize with the girls parents. All of the parents would soon learn that they may have more in common than Thailand and missing children. The Suspect was a quick read and kept me engaged. The beginning was a little slow full of details and back story but all pertinent information. Towards the middle the story sped up and I was grateful for those details. I gave 3 stars on Goodreads. I have read every book Fiona Barton has thus far had published, and this one did not disappoint! This is her second mystery involving the two main characters journalist Kate Waters and DI Sparkes. It has everything I have come to expect from her novels: fast-paced, lots of twists and turns, hard to put down, well-described characters and settings, and an ending that is not only unexpected but also can leave you feeling a little dismayed. Fiona Barton has quickly become a must-read author in my opinion. I absolutely loved this book and a I highly recommend it, especially if you enjoy suspense. Unfortunately I didn't get to read this galley before it expired. It doesn't publish until Jan so I was planning to read it closer to pub date and I didn't realize it expired 11/27/18, which is a bummer! I had been looking forward to reading this one! I was a little nervous reading The Suspect by Fiona Barton as it is the third book in the Kate Waters series and I was afraid starting three books into the series that I may be a little lost, but I am happy to say that is not the case here. The Suspect can be read as a standalone and I never felt like I was missing anything from the prior books. So please do not let that be a deciding factor when picking up this book. Alexandra “Alex” O’Connor is on a backpacking trip to Thailand with Rosie, a girl from her neighborhood. While Alex had an itinerary all planned out, Rosie has other ideas and uses the trip as an excuse to let loose. But when both girls fail to check in with their parents over the course of a week, Alex’s mother Leslie contacts the police, but given the girls were teenagers, the police advised them not to worry and teens often forget to call their parents. When journalist Kate Waters gets wind of the story she decides to write an article about the two missing girls in Thailand. Kate can relate to the story as her own son is somewhere in Thailand although she has no idea where and her son rarely ever calls home. But, as Kate immerses herself into the lives of the parents, their stories hit closer to home more so than Kate could ever realize. Told through multiple POV’s, The Suspect is a slow burn mystery/thriller that will grip you right from the start. I love how the story went back and forth between Kate, one of the missing girls, and the parents. The story starts to slowly unravel and you get a glimpse of what happened in Thailand with Alex and Rosie. The story is a mix of a police procedural, a thrilling mystery, and an expose on the truth. Fiona Barton really writes with a lot of passion often showing the emotional side of a parent's worst nightmare - their child is missing. Barton taps into the emotions and the grief of the parents with such honesty and realism which really made the story stand out for me. I do have to say the ending really shocked me and made me think. The ending could not have been any more perfect. I was totally shocked, but with that ending, I realized this story is so much more than just a mystery. It also shows the love a mother has for her child/children and the lengths she would go to protect them. Simply outstanding! The Suspect by Fiona Barton is a cleverly written mystery that packs quite the emotional punch while immersing you in a story full of secrets wrapped around an intense and twisting story. I thoroughly enjoyed reading this book and I am definitely going to be adding the other two prior books in the series to my TBR. The Suspect is well deserving of 5 stars. I’m happy to say that this novel can stand alone since I had not read any of the previous Kate Waters mysteries. I was immediately invested in the story and found it relatable since my own child went abroad after high school. I myself had been to Thailand and the author took me back with her vividly detailed and accurate descriptions. I felt the different perspectives were easy to follow and added another dimension. Even though some of the “twists” were set up so you could see them coming, there was still enough left about the characters and what motivated them to keep me interested. The Suspect by Fiona Barton is a domestic thriller that asks how well do we parents know our teen-aged and young adult children. How do they respond when they make a mistake that they know will disappoint us? What lengths will they go through to cover up their blunders and not admit that their life has gotten away from them? What happens when they allow their pride to get in the way Instead of asking for help? Kate Waters is a reporter with a young adult son Jake whose decisions have led him into the center of a murder investigation. He supposedly is in Phuket taking a gap year but his correspondence with her is very sparse and does not reveal many details about his life. As a mother she takes on the responsibility for their estrangement assuming that she has angered him. She is nervous that if she pushes the situation by asking too many probing questions she may lose him altogether. Alex and Rosie are two young women who have disappeared while away on holiday to Thailand. It is their first time traveling alone and was meant to be a grand time as they await the results of their entrance exams. Alex at one point was posting happy times on Facebook, she was calling her parents and keeping up correspondence with her friends until everything goes dark. Kate picks up the story and heads to Bangkok hoping that it could be her big break. The girls are found dead in the remnants of a hostel fire, a possible witness lies injured in the local hospital. She arrives at the hospital too late. The potential witness? unsung hero? probable suspect? has already fled. To her shock and dismay she learns that the patient bears her son's name. Of course Kate is beset by questions. How and when did Jake arrive in Bangkok? Did he know the girls? What other secrets has Jake kept? Is he in danger? Kate instead of breaking the news becomes the story along with her son Jake. Fiona Barton is a master at tightening the vice and ratcheting up the tension of the novel. Readers are kept turning the pages as Kate tries to stay one step ahead of both the press and the police so she can find and protect her son. This is my second time reading a novel from Fiona Barton and my experience this time around was just so much better. When I read The Child, I thought the plot dragged at times and so my attention kept drifting. With The Suspect, however, nothing like that happens. The case of the missing girls had enough twists and turns in it to hold my interest and keep me turning the pages, and it was also great to see Kate Waters again. With her novel, The Suspect, Barton has hit a home run when it comes to a compelling storyline. I'd recommend this book to mystery fans and to those who have read Barton before, even if, like me, you had a mixed reaction to her last book. The Suspect was the first novel I’ve read by Fiona Barton. I did not realize it was the 3rd novel to feature reporter Kate Waters, but fortunately Barton sets up the characters and plot in a way that you do not need to read the first two to know what’s going on. The story uses 4 alternating points of view to tell the story of two teenage girls who seem to have disappeared while backpacking in Thailand (I’ll admit, having spent two weeks in Thailand last summer was the main reason I picked up this book) The Suspect had a couple big twists as Barton slowly unveiled what happened to the girls (the chapters told by one of the girls were my favorite) but was about 50 pages too long in my opinion. The subplot featuring the London detective and his wife, to me, let little to the main story. That being said, I would recommend this novel to anyone who likes a good mystery and exotic locales. I received a free copy of this book from the publisher. Fiona Barton hits it out of the park with this one. This novel was better than the last one. Loving Kate Waters. Cannot wait for the next book. This is the 2nd of the Kate Waters books I have read. The first was not one I really cared for. The Suspect is much better than the 1st of this series. The emphasis was more on the events than the characters so I wasn't really invested in the people. The events are what kept me reading. It was fairly easy to figure out the who. The why was what kept me reading. When two 18 year old girls go missing in Thailand, Journalist Kate Waters sets out to discover the truth behind their disappearance. The families are thrust into the media spotlight while working through an international nightmare. As Kate searches for answers about the girls last known activities she discovers that she has more in common with the families than she could have thought possible when her own son becomes the key to finding the truth. The suspect is a tragic and twisty mystery in which an international crime story puts Journalist Kate Waters closer to the action than she could have imagined. This is one of those stories where everything goes wrong and you just know it's not going to end well for anyone. The families are forced to navigate through an international crime investigation where nothing seems to add up. As a mother and journalist, Kate empathizes with the family and is determined to get answers. As she tracks the girls known activities through social media, she discovers two different very different accounts of what really happened. Thrust into a parent’s worst nightmare, three families must deal with the aftermath of tragedy as they question their relationships with their children and how well they really knew them. The novel alters between POV's to get an inside look at the events as they play out. I really enjoyed this novel and look forward to more books in the Kate Waters mystery series. I'm officially addicted to Fiona Barton's novels. The Suspect was better than The Child and MUCH better than The Widow! I'm loving the Kate Waters series! This had better not be the last one! I was completely engrossed in this book from page 1 and I could barely put it down. The flow was great, even with switching POVs and time periods. I don't feel like the who-dun-it was hidden from the reader from the halfway point on but the mystery was more of why-dun-it and what more is there to find? And within the mystery there was also tragedy for my favorite characters. Heartbreaking! It was a great book and I definitely look forward to more Barton books. 3 stars. I thought it was ok, as I wasn't fully invested or interested in any of the characters. Beginning started out promising and I was just starting to connect with 1 of the characters, Alex and then she was dead. Didn't really connect or care about the others and the story was slow moving until about 3/4 of the way through. At first, you are sure who the suspect is and then it turns out it's 1 particular suspect then possibly 2 suspects. The chapters of the book, tell the story from different perspectives from "The Mothers", "The Detective" and "The Reporter". There are two mothers, Lesley who is Alex's mom and Jenny who is Rosie's mom grieving over their daughters. One daughter, Alex is the one everyone loves, the other daughter, Rosie, no one really cares for. The Reporter is Kate, who is also the mom to Jake a suspect. As the truth unfolds and is presumably wrapping up, new revelations occur throughout the book. Story wraps up nicely, but then there is an undisclosed secret at the end. It's not a cliff-hanger, but it leaves the door open for the possibility of another book. This is the third book I’ve read, and liked, by this author. Each features the journalist Kate Waters, who specializes in ingratiating herself with distressed or grieving parents in order to get a story. In this book, she has two sets of parents to handle when their 18 year old daughters go missing while vacationing in Bangkok. Kate can empathize with the parents, since her own eldest son Jake has been doing volunteer work in Thailand for two years, and he hasn’t been good at keeping in touch with his family. I have ambivalent feelings about Kate. She seems like a nice enough person, but on the other hand the nature of her work is so intrusive and duplicitous that I feel like I’ve been slimed when I read about her - even when the outcome for the parents is a positive one. In this book, Kate becomes more entwined with the story of the missing girls than she expected. While you can sort of see where this book is headed, there are a few surprises along the way. I liked the mix of the newspaper business with a police procedural. The characters were realistic and the plot was plausible. There was a side story about a detective with a dying wife that seemed to serve no purpose. That story became intrusive at times and skipping it would have shortened the book, but that is a quibble. Overall I enjoyed this book and will continue to read this author. I received a free copy of this book from the publisher. The Suspect has an engaging plot with several twists and turns that kept me turning pages. The story is told from multiple points of view, and I felt that all of the characters were well developed. Fiona Barton certainly captured the anguish of all of the parents involved in the disappearance of two girls in Thailand, and made me feel a great deal of empathy for Kate. Barton also moved the investigation forward steadily and brought the story to a satisfying conclusion. Thank you to Penguin for providing a terrific read. Two eighteen-year-old girls, thrilled to be having an adventure in exploring in Thailand while they await the results of the exams, run into a serious snag. They are not well known to each other and, as one quickly finds out, the other girl is perfectly happy to party, use drugs and hook up with other foreign young men. Despite every effort to convince her to leave, one decides to go on her own to complete the journey. Unfortunately, in the aftermath of a fire at the rather sordid hostel they had been staying in, both girls are found dead. Only, the fire didn't kill them. Journalist Kate Waters is worried about her son, Jake, who has dropped out of college and decided to wander Asia and is rarely in contact. As she tries to keep ahead of this tragic story and support the parents of the missing girls, she finds out that her son has been involved......to what level is what she fears. I love Fiona Barton's storytelling style and topics and I was not disappointed! The ending will grab you and make you wish for a sequel. This was my second book by Fiona Barton and I was absolutely thrilled to get to read a bit more about Kate Waters and DI Sparkes again. This novels follows dual time lines getting a hint of what happened when two eighteen year old girls left home for the first time to go to Thailand and then the aftermath of when they have gone missing. The story is told from four different POV, Alex (one of the girls) tells the past the story of the girls in Thailand. You also get to hear from Kate Waters, DI Sparkes and Alex's mother. With scenes set in Thailand you get a taste of other parts of the world that was interesting to see. The novel is fast paced and kept me guessing through out. I loved every moment of the book and honestly couldn't put it down. It was a 5 out of 5 star for me. Thank you to the publishers and Fiona Barton for the early ARC in exchange for my honest opinion and review of the novel. While I did pick up on a few plot twists I definitely enjoyed the book and was still surprised several times along the way! I found the characters engaging and the pace of the story really drew me in. Definitely worth reading if you are a fan of suspense/thrillers. I enjoyed this book and could not put it down. This book had multiple viewpoints and while I usually don't like books with multiple viewpoints, I feel like this one was well written. I was interested in each character and wanted more of them. It was a gripping page-turner that kept me guessing right up until the end. I would definitely recommend to fans of thrillers!!! I enjoyed reading The Suspect by Fiona Barton. It is the third book featuring Kate Waters, though the books are loosely connected. In all of the books, I found the character of Kate Waters not very likeable, so I actually enjoyed when the shoe was on the other foot and she was the target of other journalists when her son in implicated in a crime. I really like the police inspector, and wish he was in the book more. Thanks to First to Read for the ARC of The Suspect. Thanks for the ARC of Fiona Barton’s “The Suspect”. If you liked Barton’s previous novels, “The Widow” and “The Child”,you will enjoy this selection as well. The author writes short chapters that help to move the action along. Barton spins a good mystery but the most fun is her dark side that gives her novels some zing. I’ve read author Fiona Barton’s two previous books and enjoyed them very much. She has a real ability to quietly draw the reader into a seemingly normal, everyday tale and then gobsmack them with a twist or two that just causes everything previously read to be reconsidered. Call me a fan. THE SUSPECT, though, is not quite that tale, and unfortunately telegraphs its twists in advance and loses most of its thrills. Perhaps its because of its similarities to a few other books with the same focus. Adult children that disappoint in unsurprising ways. How far will a parent go to protect an adult offspring? Some questions might be better left unanswered. Thank you First To Read for the opportunity to preview The Suspect by Fiona Barton. I am a fan! Barton continues to tell stories that are relevant and real. She weaves characters like a rug and then splits it apart before she is done. The plot brings back Kate Waters, a reporter, who finds herself caught up with the story of two missing young woman who have disappeared in Bankok, while struggling with her own family issues - a son she hasn't seen in two years. The plot takes several points of view and different character perspectives - you can feel the pain and anguish, as well as, the anger and blame. This is another hit for Barton. Recommend. Fiona Barton's books keep getting better and better. This was an excellent crime thriller with steady pacing and engaging characters. No big, implausible moments I couldn't get past and the alternating chapters between the present and when the crime event took place work very well. Excellent read and not necessary to have read Barton's first two books, but I would certainly recommend all three of them. Thank you to Penguin Random House for an advanced copy of Fiona Barton's The Suspect. Two teenage girls embark on the adventure of a lifetime to Bangkok, Thailand for a gap year vacation that turns deadly. When the girls go missing their families with the help of a local report and police detective must unravel the mysteries of their last few days and who was involved. Kate, has been a reporter for years and is used to following a story wherever it takes her but when this story takes her to the last known location of her own son she may become more involved in the story then she ever thought possible. This is a great crime mystery told from multiple perspectives and over the course of a few months. There is a lot of twist and turns and surprising plot twists. I enjoyed Barton's straightforward style and recommend this to thriller enthusiasts and great for fans of Karin Slaughter, Paula Hawkins or Gillian Flynn. I will definitely be reading more of Fiona's work. I enjoyed this book. 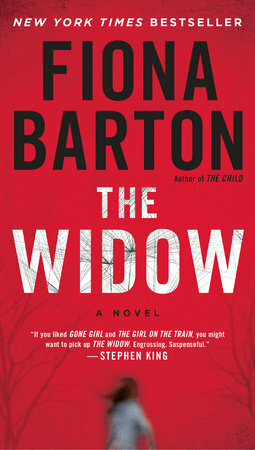 It was my second book to read by Fiona Barton, I had read The Widow, which also features Kate Waters, The Reporter. Even though the books are quite different in content, the writing is very similar ie as telling the story from many different voices, and having a gripping, surprising ending. This book was a little hard for me to get into at first. I think having so many voices to tell the story makes it more confusing to keep up with who is who. Still, when I finally got into it, I could not put it down. I was surprised by the ending of The Suspect, just like I was surprised by the ending of The Widow. I so sympathized with the plight of Alex, probably because I am the mother of an adult daughter. Alex was out of her league, and like so many teenagers, just kept getting in deeper and deeper, because she was ashamed to tell her parents the truth. Unfortunately, this had tragic consequences for her. This story took me back several years when my own daughter was a teenager, and it made mw thankful that a "gap year," is not the tradition in the States that it seems to be in the UK. These teenagers were just not mature enough to handle themselves alone in a foreign country; one keeps reading and thinking "Call home,Alex. Go home while you can," but we already know, while reading her words, that tragedy has struck her. I do recommend this book to other readers. Predictable, I was able to see several of the plot twists coming, the truth is that this read didn't hold my attention. A story about two teenage Brit girls on a holiday from real life in Bangkok, a holiday gone completely wrong. Barton offers a number of points of view including that of the grieving parents, some casting blame on each other, a reporter, and a detective. This one was not for me. Didn't really hold my attention. But, that doesn't mean you won't enjoy it. A gripping suspense novel, told from many points of view. I was thoroughly impressed with how the author kept my attention throughout the book and kept me guessing until the end. Definitely would recommend this novel to those who like suspense and many twist and turns. I did not know this was part of a series, but I definitely want to find the others. I found the part about teens going missing and then the reporter getting pulled into the story very interesting. I couldn't put it down. I would love a copy of this book for my classroom. 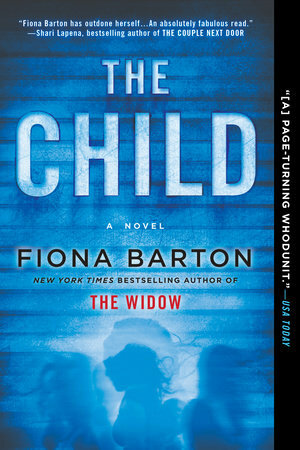 This is my second novel by Fiona Barton, the first was "The Widow" which I can't even remember, it was very forgettable. However, I didn't realize that this book is part of that series. In fact it's the 3rd book featuring Kate Waters (The Reporter). I honestly really liked this book, and it had a definite impact on me as a reader, much more engaging and suspenseful. Two teenagers go missing on a trip of a life time experience to Thailand, and Kate Waters steps in as the reporter to be first on the family scene. This story hitting close to home, having a son herself that is some what estranged, doesn't return home after taking a similar trip to Thailand. Soon the tables are turned and Kate and her family become more apart of the story than covering it. There are some predictable aspects to this novel but for the most past it had me guessing with a few twist and turns along the way and a huge GASP at the end. "The Suspect" has reignited my interest in this author. Thanks to First To Read and Berkley Publishing Group for the opportunity to read and review this. Read as fast as a book half its size. Not bad, I enjoyed it. I thoroughly enjoyed this book and could not put it down. It's not easy to tell a story from multiple voices and viewpoints, but I feel like this was done well. I really got a good sense for each character and kept wanting to know more. It was gripping page turner that kept me guessing right up until the end. I did not want it to end! I loved the three different perspectives telling the story - the mother, the reporter, and the detective. I was hooked into the story immediately until the very end. Fans of psychological thrillers, and especially Fiona Barton's other books, will devour this one! This was a fun, quick read with lots of great character development and twists. I was wondering if the vague headings (The Mother/The Reporter/The Detective) were done so they could apply to different people as the roles morphed, but even without that it was great to see the tables turned as the reporter became the center of the story briefly, as well as seeing it unfold in parallel in both the past and the progress of the investigation. After receiving an ARC for this book, I am giving my honest review. I have enjoyed all three of the Kate Waters books. The characters and emotions are realistic. The dynamics between parents and children is very well portrayed. Many turns in the story kept things interesting and intriguing. Looking forward to Fiona Bartons next book and hope we don't have to wait too long. Weaving together some themes from the earlier two books which feature Kate Waters (and Detective Inspector Bob Sparkes), The Child and The Widow, Fiona Barton continues to explore the shifting lines that define our moral decisions, our humanity, and our reactions. Two young women, vacationing in Thailand, haven't touched base with their families to the point that both sets of parents have worried enough to contact the police—catapulting the story into crisis. At the newsroom, Kate Waters launches herself headlong into uncovering the whereabouts of the missing eighteen-year-olds. Dealing with her own troubles with her oldest son, Jake, Kate can potentially relate to the girls' mothers on a deeper level. Meanwhile, DI Bob Sparkes is dealing with the inevitably losing his wife to cancer. Once again Barton leads us headlong into a story and throws us around on the timeline. We have present time with Kate Waters, The Reporter; DI Bob Sparkes, The Detective; Lesley O'Connor, The Mother; and flashbacks from the beginning of the trip to Thailand going forward, told from the point of view of Alex O'Connor, one of the two young women who've gone missing. Rosie Shaw, the other missing girl, and her mother, Jenny Shaw, also feature prominently but they don't get a share of the narration. The beginning of this novel, much like with The Child, was kind of messy and rather predictable. I could see where the first half was headed on several points, and it was just a frustrating time to wait until the characters got there as well. And when that is the case for several stops along the way, it can get a little tedious. However, once the second wave of reveals is finally made known to the characters (and I guess the reader, but I don't know how they were surprises), the pace of the novel finally seems to actually match the events taking place in the story just around the halfway mark. After that, The Suspect and Kate Waters actually earned the sub-genre label of suspense. I was captivated by the direction of the story, the real investigative reporting by Kate, and the exploration of the divide between her work and the parallel investigation by the police force, led by Sparkes. Side note: I'm pretty sure I'd read another book in this series, however I do seem to have trouble with the longevity of it. After three books with the same detective and the same reporter, shouldn't I care a little bit more about them? I'm just not invested in their lives outside the investigations they are working for the individual books. Unlike, let's say, a Louise Penny novel, I don't feel a connection to them that makes me want to return again and again. Although it took me several chapters to get into the flow of the perspective changes, I ended up finishing the book quite quickly as it was intriguing. The twists kept me guessing and partially hoping that certain characters weren't involved. Overall, an enjoyable read. When I started this, I was skeptical. I wondered if it would follow a well-trodden "teens' turmoil in Thailand" path, but it took another direction, and I quickly became absorbed. I liked the storytelling from different points of view; it offered me a chance to get into each character's head enough to understand his or her motivation, actions, strengths, and frailties. The shifting perspectives, coupled with briskly-paced developments in the narrative kept the story moving at a steady clip. I wanted to keep reading. I've read a lot of mysteries/thrillers, and seen a lot of mystery/thriller movies, so I had a lot of ideas about how the story would evolve. But each time I thought I knew which way the story would turn, it went a different way, and kept me guessing. My only hesitation about this book was that I wish the author had spent a bit more time at the end fleshing out details about the events the two girls experienced. It seemed like there were a couple of holes in the story, but they weren't big enough that I felt let down in any way. I really appreciated how the end wasn't neatly tied off, and I could clearly see how a sequel could grow out of this story. It would make a great movie, too. Every parent’s worst nightmare... Two young women traveling in Thailand are reported missing. Their families sense something is wrong and seek to find out what has happened to their daughters. The story is told from several points of view: a reporter, one of the mothers, a detective, and one of the girls as occasional flashbacks. One element that especially draws the reader in is the character Kate Waters, a reporter on the case who always seems to be a step ahead of the official investigation. Her role as mother comes into play as well when she begins to wonder if her son is connected to the girls’ disappearance. The author builds the suspense steadily leaving us wondering whether the truth will be discovered. I enjoyed reading this and found it definitely works as a stand-alone book without having read the earlier books in the series. I received an advance copy of the book through the First to Read program. I received an advance copy of this book from First To Read in exchange for an honest review. I gave this book 4 stars because I felt it was a little long and redundant at times. Very repetitive. That being said I did enjoy the book and finished it in 3 days. I did enjoy this book and think I need to pick up more of Fiona Barton's other works. I was a bit lost on the ending but that makes me think there will be another book. I felt like some of the characters were just thrown in to give one piece of the puzzle without having another real reason to be there. I did like the switching of the characters. I thought this novel was going to be more mystery but it ended up being a lot of family dynamic which was cool! I was really excited to read this after reading Fiona Barton's "The Child". Unfortunately, this one fell a bit flat for me. I didn't find the mystery very exciting, and the story seemed to meander at times. I appreciate the chance to read this early, but it missed the mark for me. I can see that many others would enjoy it, just not really my preferred pace. A decent read, but I was able to see several of the twists coming from a mile away. First to Read is a destination for readers and those who love to talk about and discover new books. First to Read provides members with the chance to be the first to read the best new books, before they hit the shelves.